News of Teutonic metal trailblazers Accept delivering a new album will probably please fans, but it seems like the group is feeling plenty pissed these days. Titled Blind Rage, the outfit's latest full-length of balls-to-the-wall material is due August 14 through Nuclear Blast. A press release explains that the upcoming album, which follows 2012's Stalingrad and is the band's third LP since reuniting in 2009, was recorded with Andy Sneap (Megadeth, Napalm Death, Opeth). According to Accept guitarist Wolf Hoffmann, Blind Rage is another anger-filled collection from the metal vets. "Whatever we do on record, it's there for eternity," Hoffmann explained in a statement. "If you do something great it's not something people throw away tomorrow. Songs we wrote 30 years ago are still loved by fans today. That teaches you to be careful with what you release and make sure you like it yourself. With Blind Rage, we have a collection of songs with the classic Accept feel, and — as always — there's an overriding theme of aggression and rage in our music." 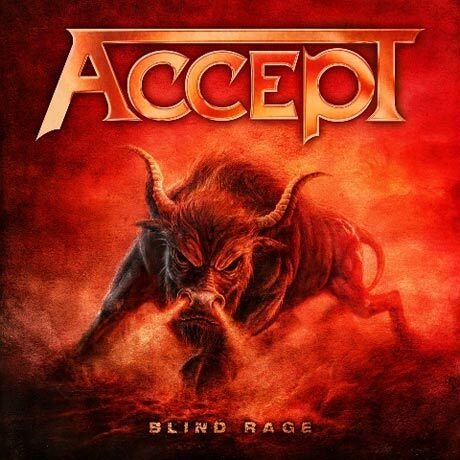 Accept have also announced that Blind Rage's opening number "Stampede" will be released as a standalone single both digitally and on limited edition vinyl on July 11. The band finished a video for the track earlier this year, and will deliver the clip sometime in the summer. Here's hoping the video somehow features the German raising the horns alongside the album cover's enraged Toro.